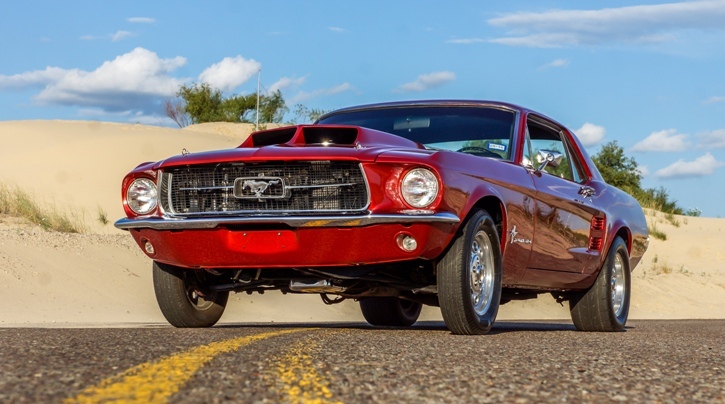 Found on Craig’s list with a little bit of rust and pretty solid overall condition this 1967 Ford Mustang originally a six cylinder vehicle has been transformed into a breathtaking hot rod by Father (Jason Terry) and his two sons (Logan and Blake). See the video and read the story of the build below. 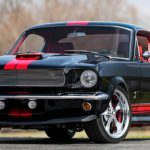 Jason Terry’s Custom Built 1967 Mustang! 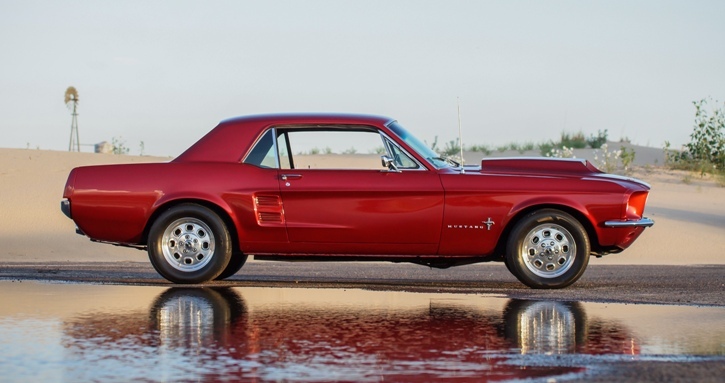 “It took us three months to tear the Mustang apart and do the body work and paint. We had to work both quarter panels because the car had been hit from behind at some point and had some shade tree body work done. The car was taken apart and each piece was worked until it was laser straight. All the original trim was reworked and all dings were hammered out, sanded and polished. I sprayed the car myself with the wife and kids helping keep paint mixed. 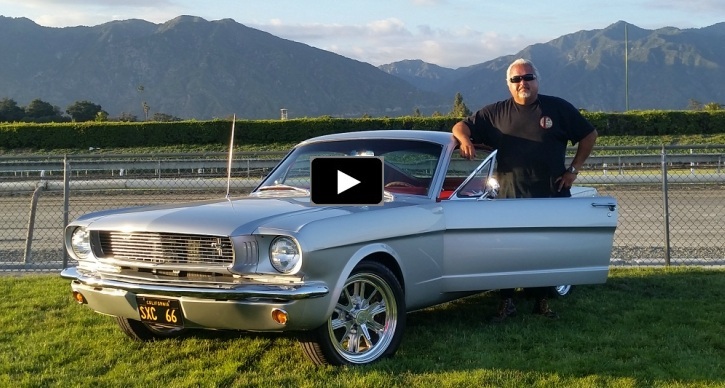 I painted the car on my oldest sons 18th birthday” – Shares Terry when we asked him to tell us the story of this spectacular 1967 Mustang build. 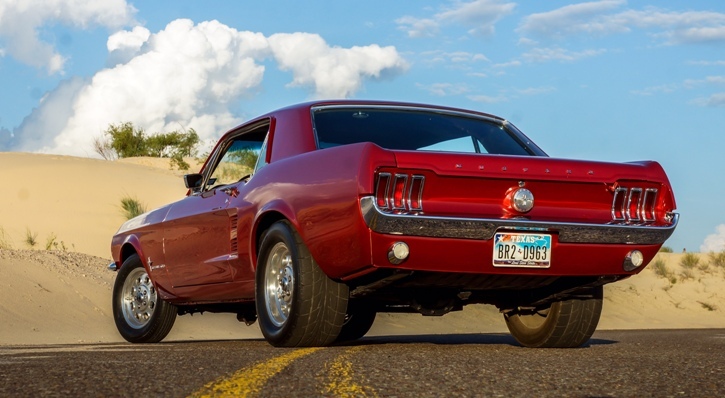 Today we are looking at this muscle car and admire the tremendous job Jason & Sons have done to restore this ’67 Ford Mustang. Sprayed with top of the line PPG base and clear, wet sanded, cut and polished to a mirror finish and reassembled with all new bumpers, chrome and badges, sitting on 15-inch Greg Weld aluminium drag wheels wrapped in Nitto’s Terry’s custom built 1967 Mustang has won Best Paint Award as well as several local car shows. The power comes from a 302 roller stroked to 347 with CNC ported aluminum heads linked to C6 transmission with a 3000 stall and custom drive shaft connected to an 8.8 rear end with 3:73 gears out of a fox body donor car. Definitely a fine example of a classic Mustang built for show & go. We would like to Thank Jason Terry for sharing this inspiring Father & Son project with us and encourage you to share so more people will get influenced. 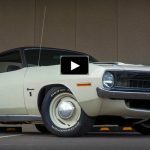 If you have a muscle car with an interesting story and want the world to know about it feel free to email us using the contact form at the bottom of the website and we will get back to you ASAP.